Keep up with our staff's impressive literary news as the summer comes to a close! 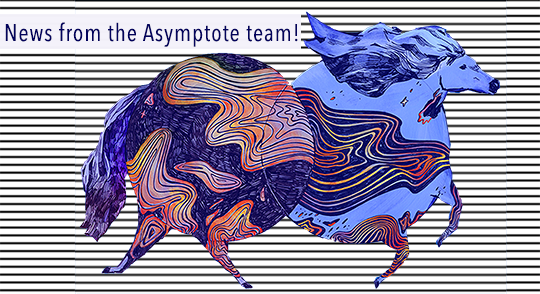 As we celebrate Asymptote‘s 30 issues in September, join us in congratulating our team members who also kept themselves busy with spreading our love of translation and literature. Take a look at this list and see where else we are bringing you the latest and the best of the literary world. Communications Manager Alexander Dickow has released a new collection of poetry, Appetites, with MadHat Press. Drama Editor Caridad Svich received the 2018 Ellen Stewart Award for Career Achievement in Professional Theatre from ATHE (Association of Theatre in Higher Education), and she has also been awarded a Tanne Foundation Award. Assistant Interviews Editor Claire Jacobson had her translation of a short story by Mortada Gzar published by Words Without Borders. Contributing Editor Ellen Elias-Bursac will participate in the Boston Translators Group’s (aka Dolet’s) International Translation Day/Month on 27 September at Cambridge Public Library. 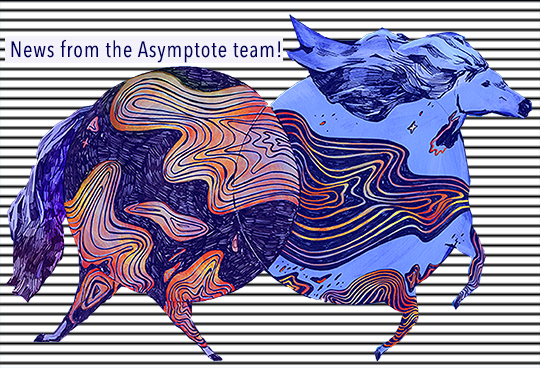 A monthly peek at what our superstar Asymptote team members have been up to! Poetry Editor Aditi Machado’s debut collection of poems, Some Beheadings, “exploring territories as disparate as India’s Western Ghats and the cinematic Mojave Desert,” has just been published by Nightboat Books. Drama Editor Caridad Svich’s Red Bike has been selected for NNPN’s 2017 National Showcase of New Plays this December. Contributing Editor Ellen Elias-Bursac was given an award by the Serbian PEN Center for her work translating Serbian writers into English. 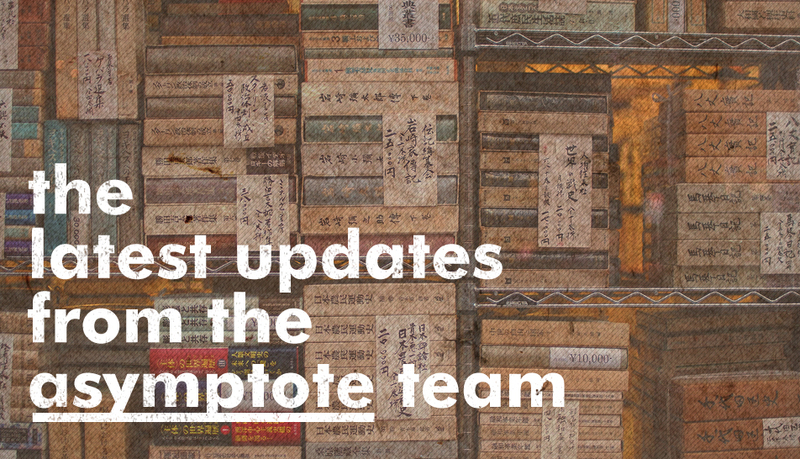 From launching journals to winning literary prizes, our team has had a wonderful month! Incoming Communications Manager Alexander Dickow has recently received tenure from the College of Liberal Arts and Human Sciences at Virginia Tech. He currently serves as Assistant Professor of French. Spanish Social Media Manager Arthur Dixon has launched the second issue of Latin American Literature Today, a new journal where he serves as Managing Editor and Translator. Drama Editor Caridad Svich has been named one of 2017’s O’Neill Finalists at the National Playwrights Conference for her play, Town Hall. Romania and Moldova Editor-at-Large Chris Tanasescu (MARGENTO) has launched a book titled poetryartexchange, co-authored with 8 other British and Romanian poets and artists, at the Birmingham Literary Festival. The project is a collaboration between University of Bucharest Press and Centrala, and will see more events in London and Birmingham in May through early June. Contributing Editor Ellen Elias-Bursac will speak alongside poets Athena Farrokhzad and Noemi Jaffe, and fellow translators Jennifer Hayashida and Julia Sanches, on a panel entitled ‘Corrosive Power’ at PEN America’s World Voices Festival.